This ring is 14-kt yellow and white gold ring. It weights one ounce. The rails can be taken off to change out the stone to another 5mm stone of your liking. 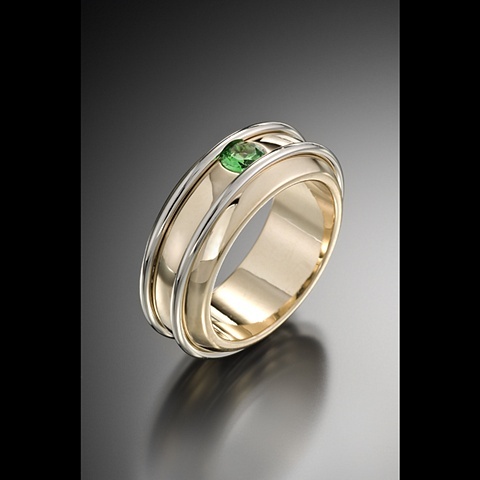 Current stone is a round 5mm green Demantoid.